Democratic presidential candidates are better off if they avoid loony preachers. Republican presidential candidates are better off if they are loony preachers. 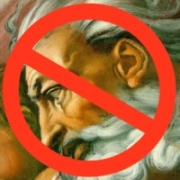 Atheism Blind Faith Celebrities Censorship Evolution FCC God Huckabee Intelligent Design Iraq Jesus Letterman McCain Obama Politics Pope Religion Religious Right Separation of C&S Top ten U.S.A.